The experts offer advice on how to spot the best foreign antiques and collectables. 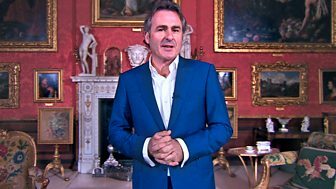 The team see an eclectic mix of objects from Europe and the Far East, and Paul Martin discovers how to distinguish between a real Chinese ceramic and a copy. The Flog It! experts revisit the popular show to explore the theme of bargain buys and offer tips on how to get the best out of car boot sales and charity shops. The highly specialised market in antique scientific instruments goes under the Trade Secrets microscope, and Adam Partridge shares his top auctioneering tips. The Flog It! 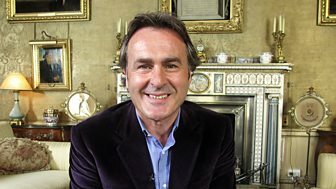 team explores classic decorative antiques, and presenter Paul Martin visits a couple with a flair for decorating their Edwardian time-capsule home. Antiques series. Works of art and design from Japan and China are the subject of the show, while Paul Martin tries his hand at Japanese Taiko drumming. The team uncover all types of restored items and Paul Martin visits Gwydir, one of the finest Tudor houses in Wales. Antique series. Focusing on the Great War, the team offers tips and advice for those wishing to collect militaria from that period. Antiques series. In this edition, expert Claire Rawle looks into scrapping gold and the team shares tips on the best commemorative collectables. Paul Martin and experts offer tips on antiques and collectibles. Vintage style is at the heart of this episode. The Flog It! team explores some of the more unusual items seen on the show. Paul Martin meets stonemasons who are breathing new life into Oxford's dreaming spires. This episode is about all that glisters, and expert Anita Manning finds a couple of out-of-this-world compacts. There is a flock of valuable bird-related items worth looking out for. Plus, expert Thomas Plant is caught out by a bird biscuit tin, whose price soars at auction. Antiques series. The experts dispense advice and insider tips on commemorative ware and Michael Baggott finds a set of rather special paper plates. Antiques series. Paul Martin looks at the best car booty bargains and Caroline Hawley shows off the Dior dress she picked up at a car boot sale for a song. Tips on antiques and collectibles. Paul Martin and the team look at the finer things in life and go behind the scenes at Longleat House in Wiltshire.